The vote is in your hands. 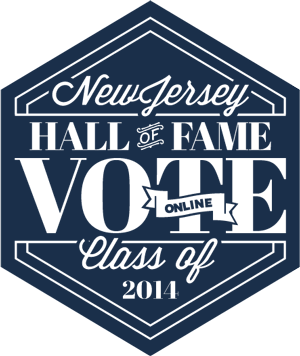 Join thousands of New Jerseyans in choosing the 2014 Inductees to the New Jersey Hall of Fame. The thirty-day voting period begins on midnight, May 15, 2014 through midnight, June 20, 2014. STEP ONE: Browse the list of nominees. STEP TWO: Enter a current email address. STEP THREE: Cast a single vote in each category. You’ll receive official notice of the winning class of inductees in your in-box.